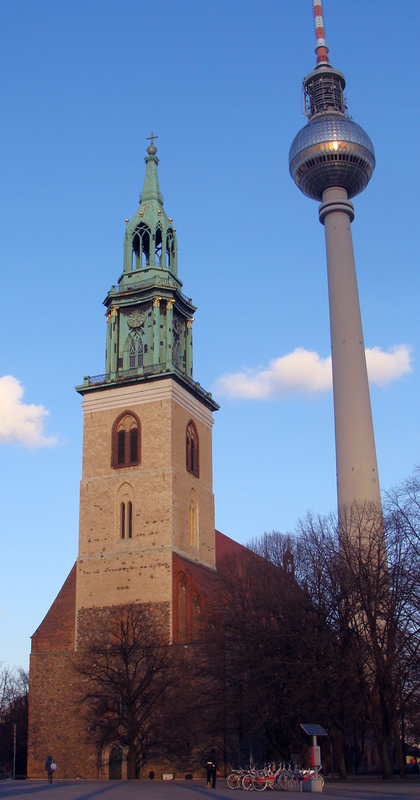 The Fernsehturm towers over Marienkirche near Alexanderplatz. Berlin’s history of destruction and division has filled it with visually striking architectural juxtapositions as well as made it a breeding ground for ideas in art and design exploring how to react, understand, and effectively handle these cycles of turmoil. In truth, however, Germany has been a hotspot for architecture for longer than since WWII (much longer if you credit them for contributions for Gothic architecture, though that actually originated in France and was later misattributed to Germany in an effort to degrade its cultural significance). 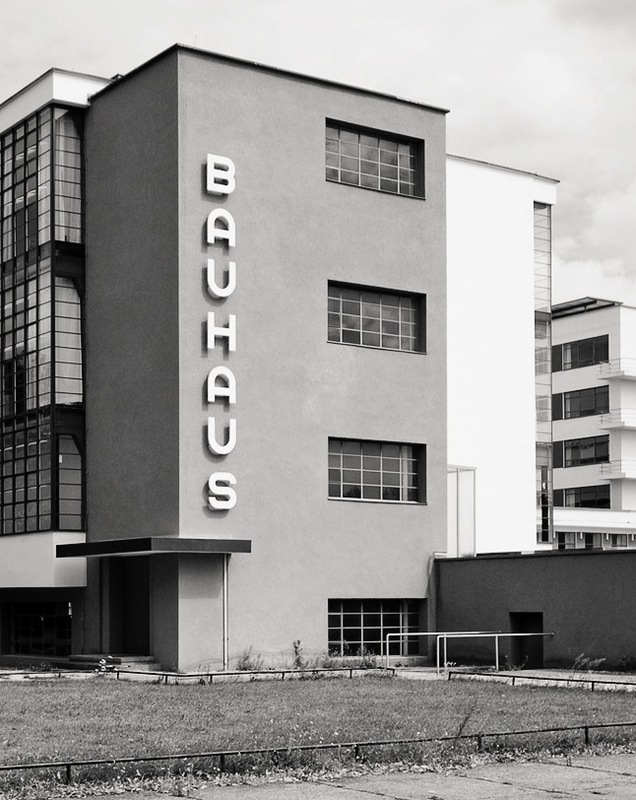 In 1919, Walter Gropius established the Bauhaus, a school of art and design that pioneered much of modern aesthetics through careful study of color and geometry as well as a dedication to deference towards creating functional products that were well adapted to industrial mass production. The work of Gropius and his successor at the Bauhaus, Mies van der Rohe, are often cited alongside Frank Lloyd Wright as the beginnings of modern architecture, and it is here that my adventures in Berlin began – I paid a visit to the Bauhaus Archiv. One perspective of the Bauhaus Archiv in Berlin. Other angles are available via Google images or on the Archiv’s webpage about the building. The Archiv building itself was originally designed by Gropius, although it was not planned for the plot it Berlin where it was eventually built. The design had to be modified, and one of Gropius’ colleagues was chosen for the job. Despite preserving the silhouette from the original design, critical response to the unveiling of the building was initially mixed (although reception has become more positive over time). When I walked into the building, I thought it looked interesting, though a little inconspicuous. When I exited, I had gained a new perspective. 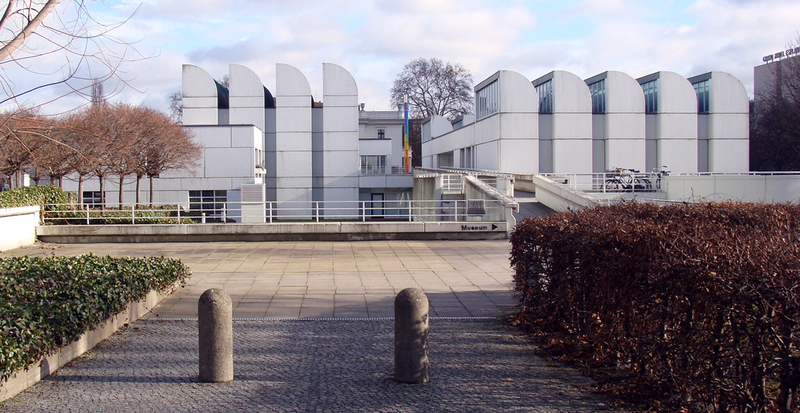 Gropius also designed the famous Bauhaus facilities in Dessau, which housed the school from from 1925 to 1932. Gropius intentionally designed the building such that no single perspective was wholly representationally, i.e. there was no “front” of the building. Large windows admitted sunlight to all parts of the building, and an elevated walkway gave the exterior building a sense of openness. These themes seemed to me repeated in the Archiv, with natural light entering through shed roofs and the approaching walkways passing through the center of the complex. Perhaps the most important feature of both buildings, as well as those designed by Mies and other Bauhaus architects, are that they present striking figures without the use of ornamentation. High level abstract principles formed the backbone of each design (Farkas Molnár’s single family home was influenced by De Stijl and Kandinsky’s red square) in a concrete, detail-oriented way that strikes me as rare in much heavily-conceptualized art and craft. The Archiv was also filled with posters, furniture, and textiles designed by Bauhaus students and masters as well as several “pure” art pieces. Though the audio tour was wont to get pretty speculative in its interpretations of some pieces (mostly overanalyzing symbolism in the art and some of the more unusual furniture), it also provided excellent insight into the history and context of design shifts in fabrics as a new director of textiles put more emphasis on industrially methods or the impact of WWI on Bauhaus architecture. It became clear just how much influence the Bauhaus has had on the modern day, even in cases when their designs never materialized, as with the skyscraper Mies designed to be built near Friedrichstraße station (this is what stands there now). Mies did eventually contribute a building to Berlin. One of the other museums I visited was the Neue Nationalgalerie. The building is reminiscent in concept of the more famous Louvre, boasting a spectacular entranceway separated from the collection of works, though it predates the Louvre’s pyramids by over two decades. Mies intended the light filled lobby to house special exhibitions of large works, while the permanent collection would reside underground. 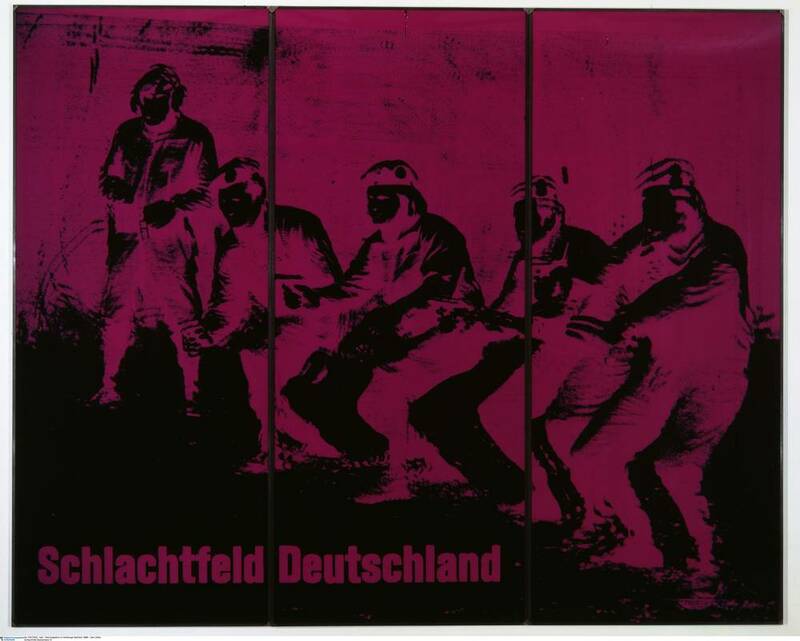 The museum is currently running an exhibition entitled “Extension of the combat zone,” which dedicated a significant portion of the space to art exploring political strife in Berlin in the last several decades. Several of the works explicitly addressed the destruction, division, reunification, and reconstruction of the city, lampooning the political symbolism of the Berlin Wall or simply carefully documenting the violence and destruction that continued as radical Berliners tried to free themselves of occupying powers. This is not to discount those parts of the city that have managed to be preserved through the tumult of the last century. Walking through Tiergarten past the Brandenburger Tor and Museuminsel to Alexandplatz, one encounters an astonishing density of beautiful museums, churches, and monuments in gothic and classical styles. As a visitor from not just a foreign country, but a much younger country, it’s easy to become overwhelmed by the equally dense history of such a city. 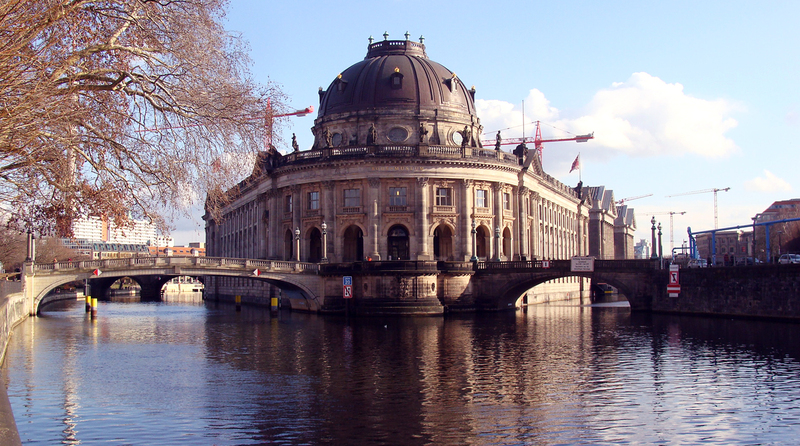 The Bode Museum on the Spree. More to come on Berlin soon. This entry was posted in travel and tagged architecture, art, Bauhaus, Berlin, design, Germany, history, modernism, narrative on February 15, 2014 by Dylan Bargteil. It was a real treat to visit. Everyone told me I must come back in the summer. I found Berlin’s architecture to be confusing. I knew I was in a great capital of European culture but architecturally, it didn’t register. That’s not a knock on the city, but a testament to its near-complete destruction. I think I found it so interesting for two reasons, really. The first reason is that several buildings, like the ones I highlighted in this post, embody an aesthetic that I really enjoy. The other reason is because the United States, being a young country that hasn’t seen much of the ravages of war, tends to have a high degree of homogeneity in the architecture of its cities, so the fact that Berlin (or London) has such varied architecture is very refreshing to me.